Heat a char-grill pan or barbecue to high heat. Melt butter in a small saucepan over medium heat, add garlic, sauté until fragrant (5 minutes). 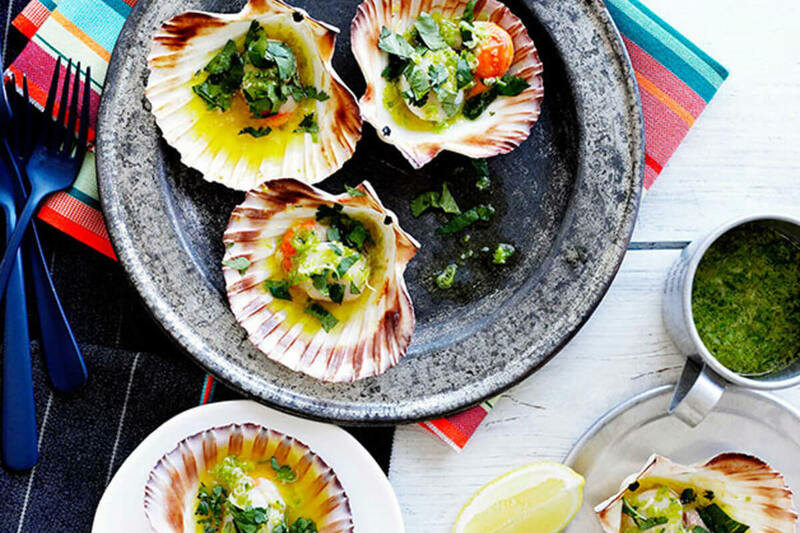 Spoon butter sauce over scallops, season to taste, scatter with coriander and grill, scallop-side up, until plump and just cooked through (5 minutes). Squeeze lemon over and serve hot.